We are getting Pool os closed error in node-red. We are using node-red from “EPIC PR1”. 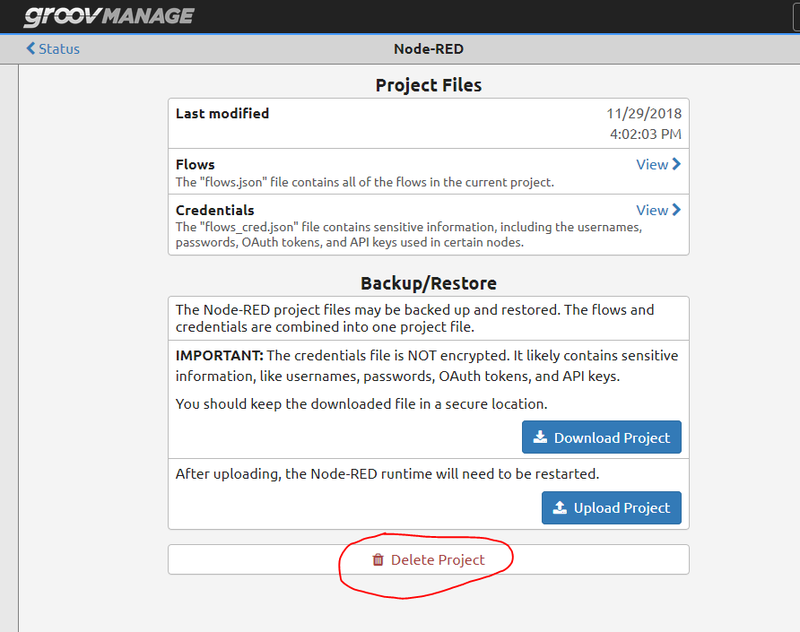 Flow is clear, I have deleted all nodes. Please find attached backup of nodered also. 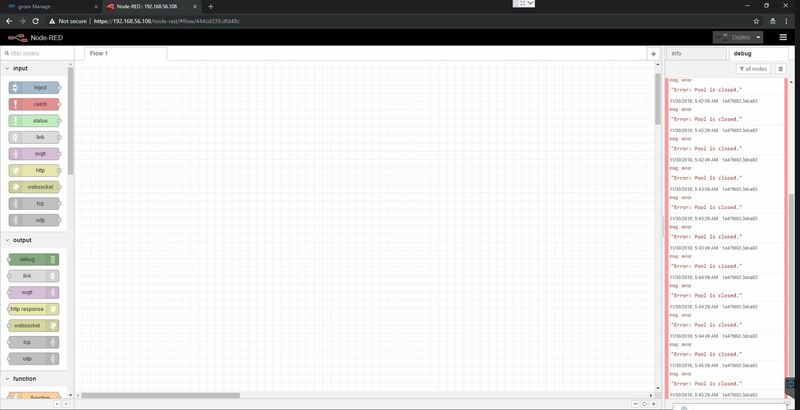 Try and delete the project through groov Manage. You probably still have some configuration nodes - so not everything is deleted. Click on the hamburger menu and then select Configuration Nodes and see what is in there. @philip (and knolleary) are correct, see the answers you got on the Node-RED forums.